Yankee was a special dog. He was gentle, funny, and intelligent. I never really had to train him to do things. He just did them. 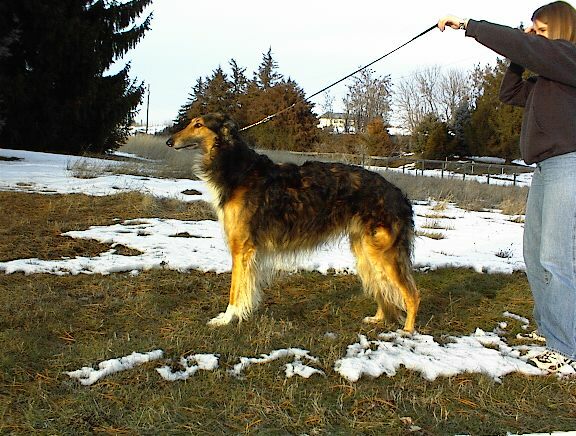 But with that Borzoi personality came the sighthound double edge: he'd do things if needed, but ignored unnecessary, repetitious demands as superfluous. Yankee was very cool about following me around the house. He never made a big fuss or demonstration about it; he would just appear where ever I was at. 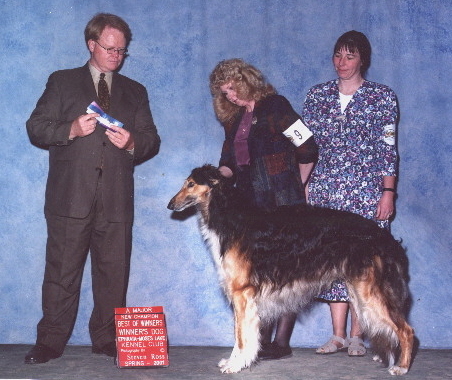 As a show dog, Yankee was sometimes overlooked for bigger, whiter dogs. He was a smaller male, only 30.5 inches, but strongly made at 83 pounds. He had a broad loin, long fall-away, and a lovely long neck. Movement wise, he had a wonderful long, elegant sidegait that can only be described as effortless with drive. 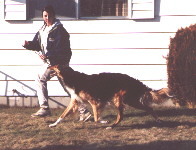 As a coursing dog, his keeness for the lure and for live jackrabbits were pure fire and instilled a love of competitive coursing in me to the present day. 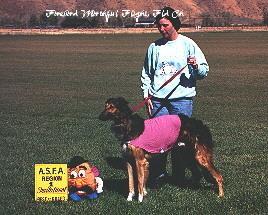 He won a Region 1 BoB and the SISFA Season Championship one of the few times my dogs have competed for it. He was more than halfway to his North American Coursing Assn title in the few times we made it to official events. As a sire, Yankee's pups have inherited his sense of humor, strong rear, and keeness. 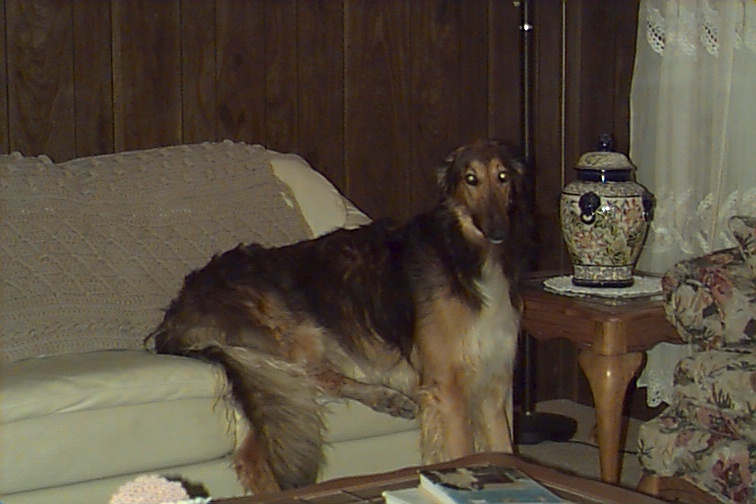 I am blessed with the owners of his puppies that have taken them to their many titles, enabling Yankee to become a Borzoi Club of America Register of Merit sire with only two litters totalling 13 puppies..
How near or how far. And I'll be joining you there.